Following the program with Fadi was a great life changing experience for me, He gives the best support and motivation. Fadi really educated me on my body needs and my eating habits completely changed. I feel great! I started seeing results immediately within the first month by following the proper diet and doing the workouts I was given. If you have a goal to reach and want the best results Fadi is the man!! he really cares and makes everything clear and easy to follow, all you need is commitment and dedication. 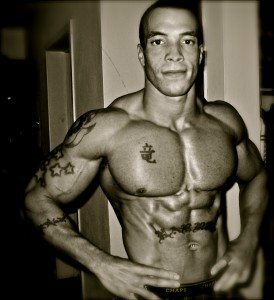 I am 29 years old and have been bodybuilding/training for about 10years now. 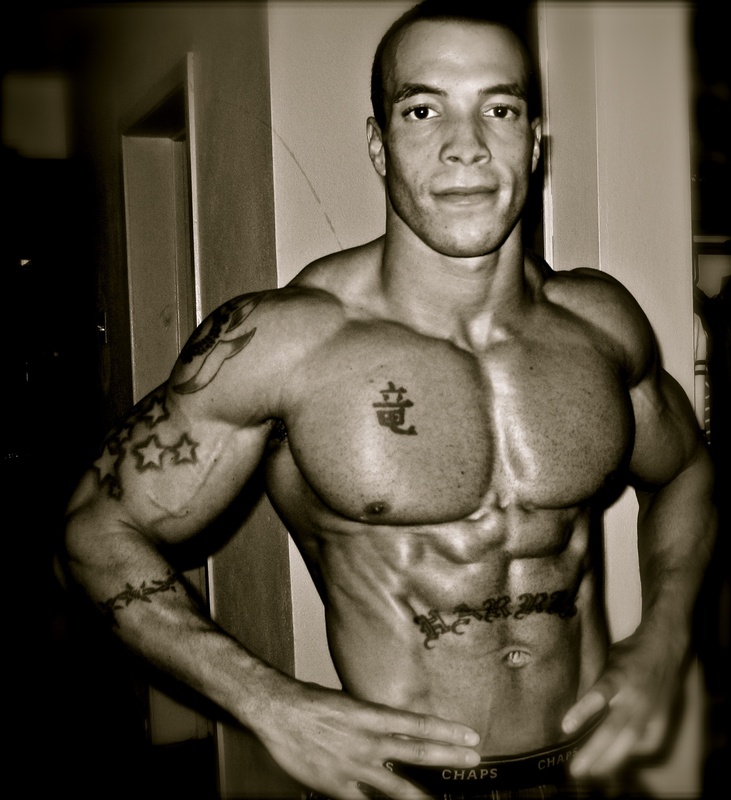 I first met Fadi when he was personal training at LA- Fitness in Duluth, Ga about 9 years ago. I remember when I first saw him I thought to myself wow! I wanna be like that guy one day. Fadi took notice of me and encouraged me that I had great potential to reach my goals. I did my first bodybuilding contest about 4 years ago and since then I have done two more earning my Natural pro-card in my second and placing fifth in my first Pro level competition. Fadi not only supported me, but his tips and coaching on nutrition, exercise, & posing helped me significantly in preparing for my shows as well as my day to day routine. I started working with Fadi in May 2006. I began to see results within the first month, including weight/fat loss, increased energy and strength. With the help of Fadi, I lost 37 pounds in six (6) months. Over a 5 month period, I went from a dress size 16 to a size 4 from the fitness training and proper nutrition advice I received. A tailored fitness program to fit my level challenged my body into burning fat and building muscle. I continued each week and has EXCEEDED my initial goal to achieve results I never thought I could achieve. The workout sessions are fun and exciting. If you are looking for a results oriented program that is tailored to your unique needs, contact Fadi! I have tried repeatedly to lose weight and have failed. 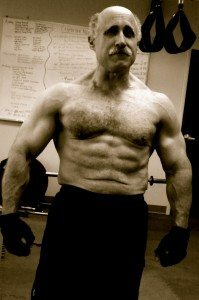 After working with Fadi’s MFS system, I have come to realize that a nutrition alone will not bring lasting results. What actually is needed is a lifestyle change which includes the right mind set, knowledge of nutrition, cardio, functional training, strength training and system support. I am 43 years old and I never in a million years imagined that I would be able to change the shape of my body. I now have curves that I did not even have at the age of 25 and about 50 pounds lighter. Many people think that their bodies are genetically fixed. That is just not true. Fadi has made a true believer out of me. I attend sessions twice a week and have experienced a wonderful transformation. I still have about ten more pounds to shrink. If you would like to transform your mind and body to make a lifestyle change contact My Fitness Solution. I promise, if you stick with the plan, you too will see lasting results and never regret the pain. The knowledge, expertise, and commitment to my health from BBF has made me feel as if I am a professional athlete. The investment that Fadi has taken in me not only in the gym but out as well has been unbelievable! From going grocery shopping with me to coming to my home to cook with me, his commitment to my health is remarkable. I have had exceptional results from working with BBF from 237lbs to 196lbs in 12 weeks. Fadi’s continued investment in my health and family has changed my life forever and I will forever be grateful. There are thousands of trainers in the Atl area and I have trained with a few of the so called “top” ones. Fadi’s knowledge and approach to get me where I want to physically far exceed that of the others! I’ve done weight training/bodybuidling for over 20 years and I’ve worked out with several personal trainers. Fadi and the MFS team provide the best workout and nutritional guidance in the Atlanta area. The PRIUM facility is very well equipped and can be used for any fitness level goals from just losing weight to advanced bodybuilding. Fadi was able to help materialize my dream of being a winning competitive bodybuilder. I can remember being an out-of-shape, overweight (40 lbs) smoker and now at 42, I am in the best shape of my life; living my life transformed! Fadi was able to help me realize my dream of being a winning competitive bodybuilder. Are you a busy executive owner of your own business, but have found that your travels and the daily grind of running your business have taken away your desire to work out, and more importantly your time? I am a mother of 3, full-time aerobics teacher and wife. After my last son, I just couldn’t get the weight off. But, thanks to Fadi and his team I feel better than ever. Never thought I could afford such an awesome membership! Thank you! I am a model with the Houghton Talent Agency in Atlanta and before Fadi, I didn’t work that much. Now that I’m in feat shape I’m booking all the time and I finally made the cover of a magazine. I was on the practice squad for the Atlanta Falcons, but now I’m a starter. Thanx Fadi #78. My upper body is stronger than ever before and my agility is greater than in my college baseball years. I have lost 34 lbs and have the energy required to continue the active lifestyle that I enjoy! * Disclaimer – results very depending on client’s participation.